A movie review of ​THREE BILLBOARDS OUTSIDE EBBING, MISSOURI. Writer-director Martin McDonagh still has not reached the potential promised in his excellent cinema debut, IN BRUGES. His sophomore feature, SEVEN PSYCHOPATHS, felt like mates improvising together (not very successfully) on a Saturday afternoon. 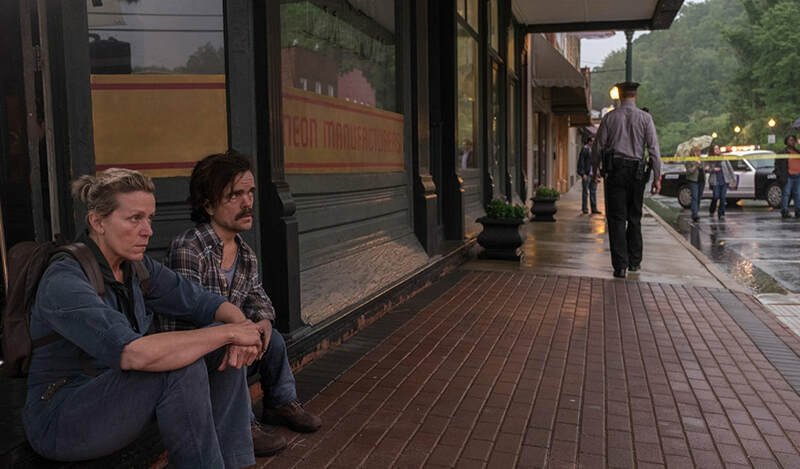 THREE BILLBOARDS OUTSIDE EBBING, MISSOURI is a step up and commenced with such potential, but by the end credits the nagging feeling of so what is hard to shake. Society is looked at, though punches are pulled. The topics are dark, but the black comedy detracts rather than enhances. Instead of making the difficult to swallow palatable, it comes across as flippant. The wielder of the homemade Molotov cocktail is the sad, formidable lead, Mildred Hayes (Frances McDormand). Her daughter Angela (Kathryn Newton) was raped and murdered. The culprit(s) have neither been caught nor even identified by the cops. Mildred takes it upon herself to shame them, in particular Ebbing’s Chief of Police, William Willoughby (Woody Harrelson). The two of them butting heads is a pleasure to watch. Always reliable, they especially deliver here rich, nuanced characters. ​Mildred is filled with regret. Her last conversation with Angela is exactly the sort of unnecessary, unfiltered barney no last interaction should end on. Is Mildred’s belligerence a result of exhaustion of patience due to her violent ex-husband, ex-cop, Charlie (John Hawkes)? 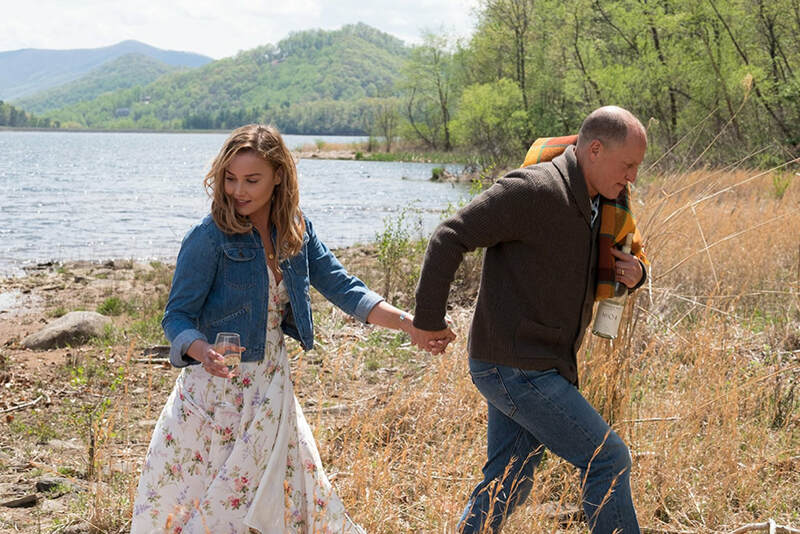 As with so much of THREE BILLBOARDS, enough food for thought is frustratingly parsimonious. There is a cursory examination of important subjects: Domestic violence, racism, police brutality, euthanasia, etc. Props, at least, for broaching. Tough talk is only valuable when underpinned with brains. 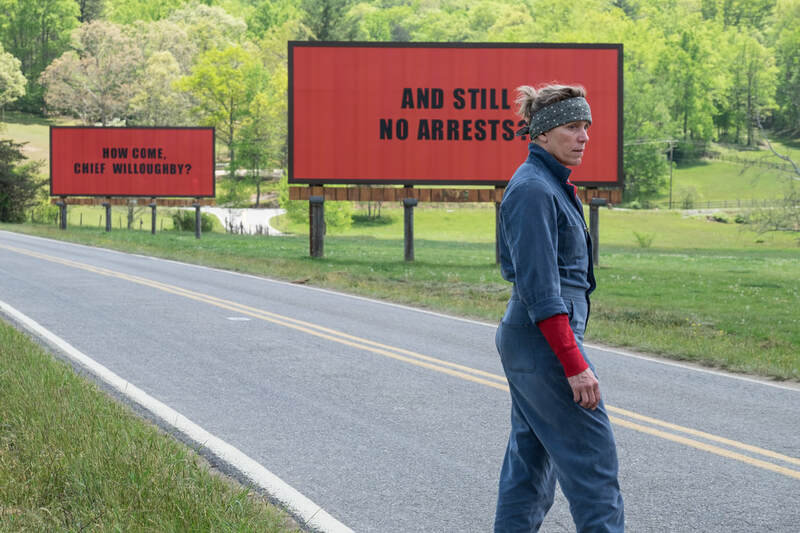 Mildred’s monologues and William’s letters show how biting and incisive McDonagh can be, but THREE BILLBOARDS rarely reaches the heightened dramatic excellence of, say, MANCHESTER BY THE SEA.